Can you believe it's the 24th of August already?! I've had all month to put together a 'Packing for Paris' post and I completely failed to do it, haha, oh well. Honestly, I was enjoying the August Break too much... have you enjoyed it? 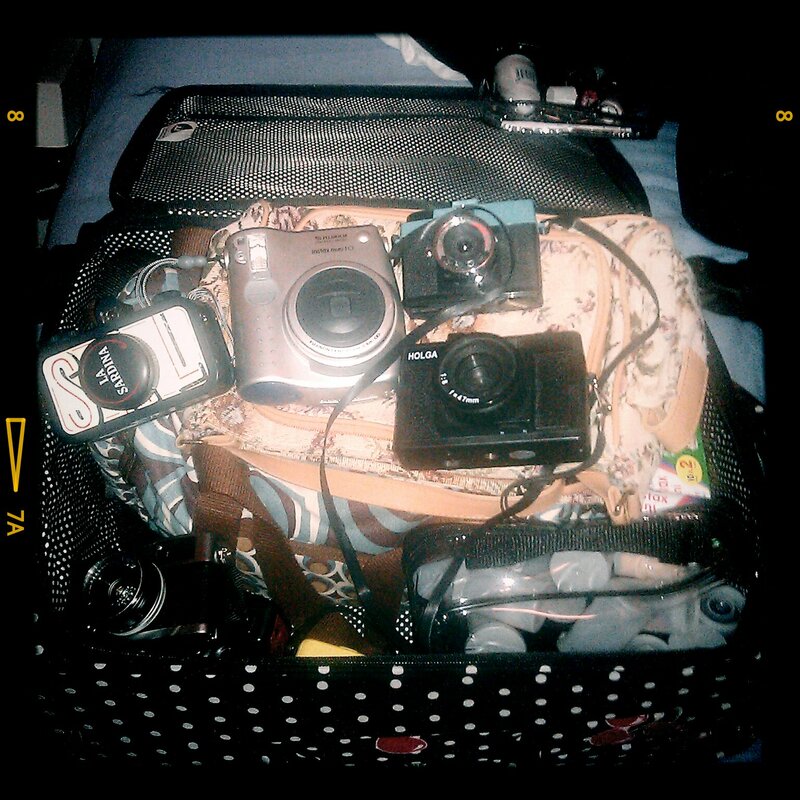 I did snap this one picture of my hand luggage, there are 7 cameras and one massive pouch of film in there... (you can just you see them all and the fuji instax film, eep) Also that bag on top? My bargain find of the month, £2.50 in a charity shop, its beautiful. Anyway, today is Wednesday!! Which means tomorrow is Thursday and we're going to Paris!!! I'm so excited, I can't stop using exclamation points or babbling and I can't really type or concentrate properly... I'm also a little nervous, but thats to be expected really. We've a few things planned but not a lot and I think we're going to try and take it as easy as possible but honestly I can't wait to be taking photos all day :) happy happy. I've got some posts scheduled from some amazing guest posters who have been to Paris, so I hope you enjoy those and I'll see you all in September! !